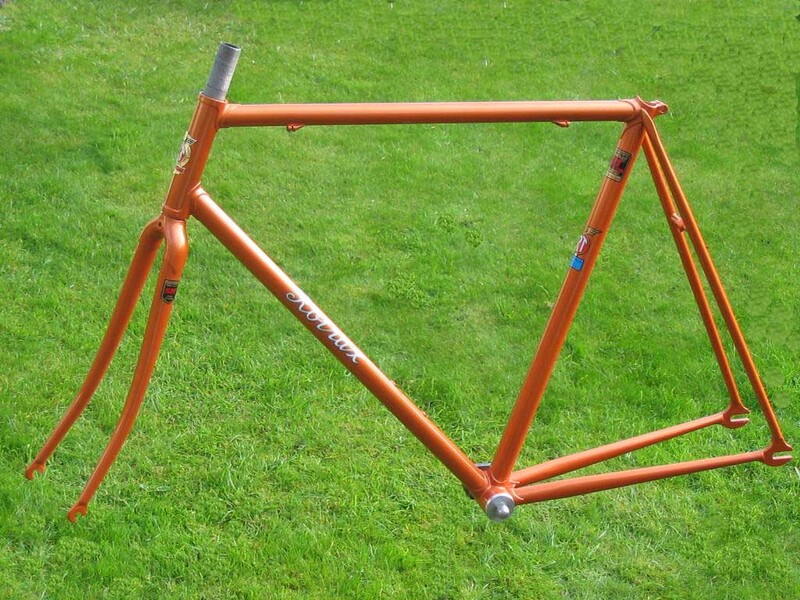 Frameset size 53cm centres, tubing lightweight heat treated steel double butted Reynolds 853 Tour, brazed construction, microcast steel lugs for extra stiffness. 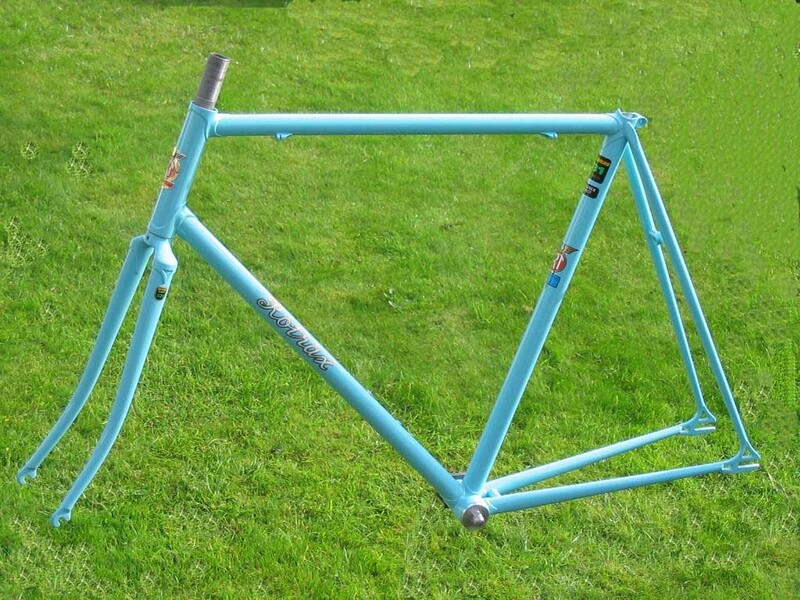 This frameset is now available, if interested contact us here for price and full spec. Waterproof “Rotrax” cycle capes, finest available made in England, three sizes: S,M,L. Cloth lined, supported PVC. Seams stitched and welded as appropriate, with waist and thumb ties. These capes are now available, if interested contact us here for price and any further information. 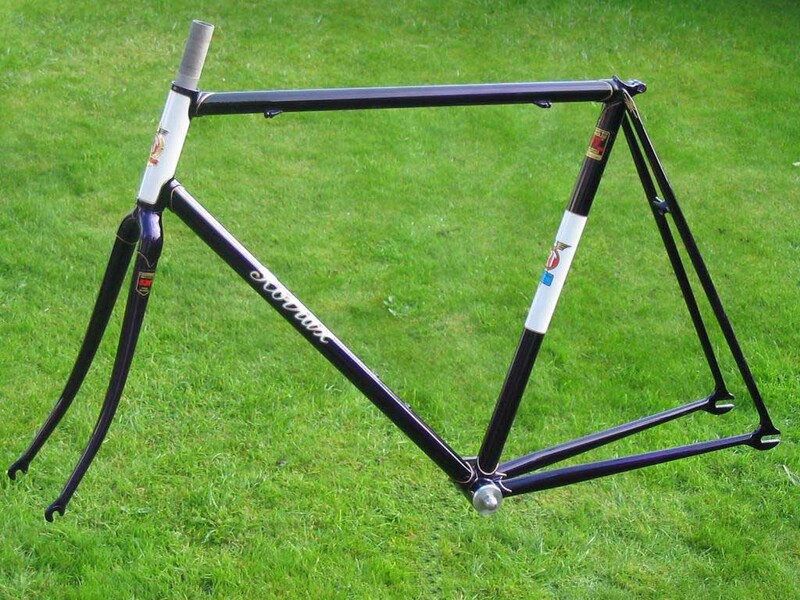 Frameset size 56cm centres, tubing manganese/molybdenum double butted steel Reynolds 531 Track, brazed construction, microcast steel lugs for extra stiffness. Frameset size 55cm centres, tubing lightweight steel double butted Reynolds 531 Professional, brazed construction, microcast steel lugs for extra stiffness. Rear stays silver brazed for increased strength. 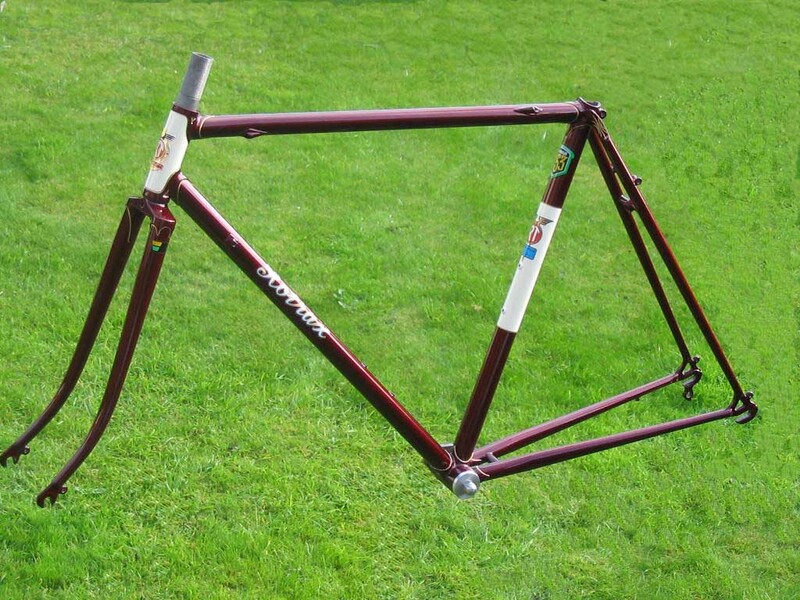 Frameset size 58cm centres, tubing lightweight steel, internal octagonal double butted Reynolds 708 Classic. Brazed construction, microcast steel lugs for extra stiffness. Rear stays silver brazed for increased strength. Frameset size 55cm centres, tubing lightweight steel double butted Reynolds 531 Professional, brazed construction, microcast steel lugs for extra stiffness. Rear stays silver brazed for increased strength. 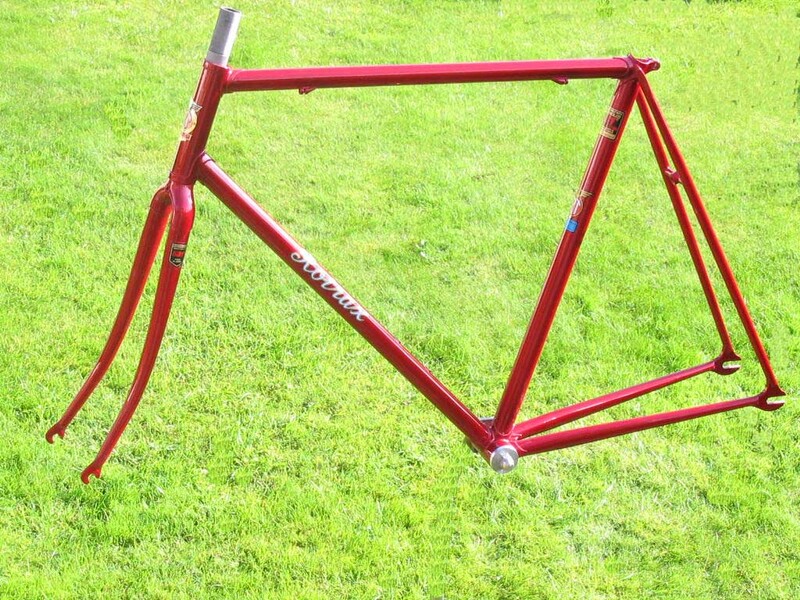 This frameset is now available, if interested contact us here for price and full spec.